L-W-O is a non-profit organisation providing non-medical support for those living with Primary and Secondary Lymphoedema. We do our best to provide services free of charge. 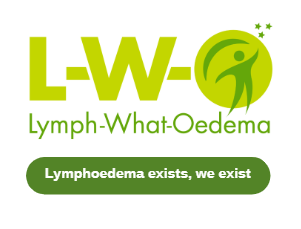 L-W-O shall work to promote lymphoedema awareness and to raise the profile of the condition. Our aim is to support and reach as many people as we can who live with lymphoedema. Through our website www.lymph-what-oedema.com we will provide information that promotes the well-being of lymphoedema patients. L-W-O will not offer medical advice but will signpost to those organisations that are more qualified. L-W-O will regularly review and update our website. Through our community page L-W-O shall provide information for public use and continue to raise the profile of lymphoedema. Through our online support group, L-W-O shall provide information, whilst supporting our members and their carers to discuss any issues they are experiencing. Where necessary L-W-O will work with other lymphoedema organisations or public organisations when it is in the best interests of our members. Where necessary and appropriate L-W-O will represent the views, concerns and interests of our members. L-W-O will act at all times in the best interests of our members, remaining non-political, and will resolve issues among our members through democratic process. L-W-O are aware of our responsibilities for safeguarding confidentiality and preserving information security for L-W-O and our members.